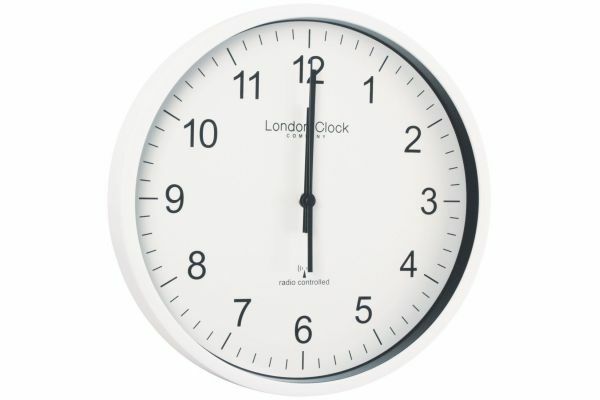 White case Radio controlled wall clock. Domed Resin Front. Radio controlled clocks receive a time signal from a radio transmitter tuned to an 'Atomic Clock'. This is a scientific clock that's considered to be the standard measure of time worldwide. When this wall clock receives the signal, it re-sets the time automatically. Especially useful for the Summer/Winter time changeover. (UK time signal only).